Pros: There are some great, unique features with the Pixip solution. 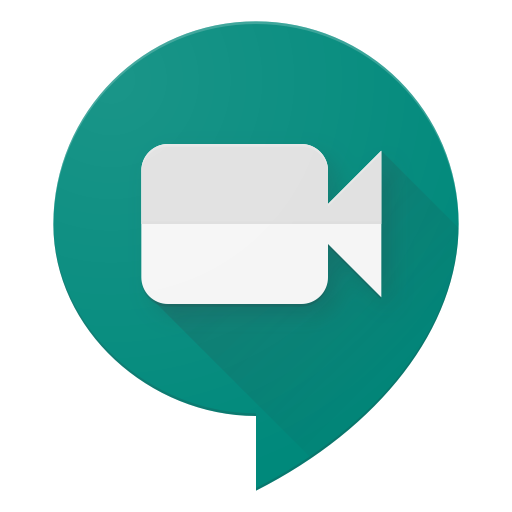 The combination of dedicated application for the desktop and mobile, combined with really high quality WebRTC ensures that any meeting is easy to join. 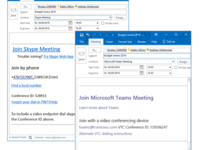 Simply have a link to click and you are in a meeting. 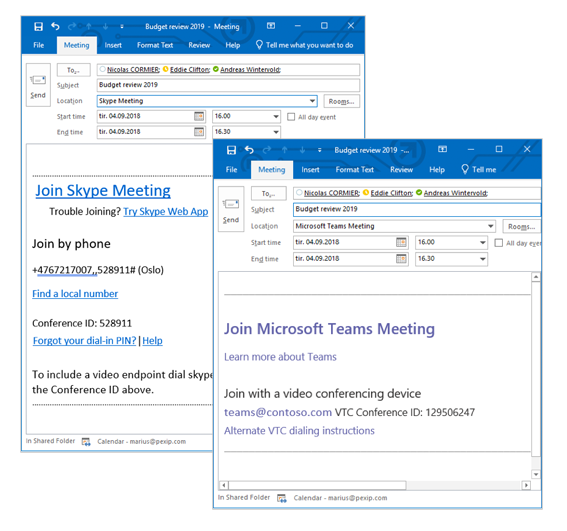 Add in the ability to call natively from Skype for Business and to connect standard room systems and there isn't anything that we can't connect. They have even innoated the ability to brin room systems into meeting without having to dail lengthy call strings that can confuse users and put them off booking the resource. The whole system is built on simplicity. The Mobile application being a fully fledged endpoint is another strong point. 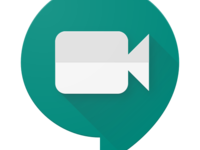 Rather than being just a simple video add in or control for a third party, it allows you to join or make a video call from any network, wherever you are. Cons: Sharing content from iOS isnt available yet. As an Apple iPad Pro user, I tend to have most of my documents on my tablet, meaning that I have to email them to a desktop machine to share. This feature is on Android, but iOS is still pending. Pros: Unlike older hardware solutions which were inflexible on the number and physical location of ports, with Pexip you can spin it up where needed, and only pay for ports you need to concurrently use. Cons: Its still on-premise and most companies are looking at cloud. Hopefully their acquisition of Videxio fixes this one. Pros: One of the only true interoperability providers out there. PEXIP can create order and ease in a confusing world. We did reviews\POC's with many in this space and none provided the level of features that PEXIP does and they do it at a great price point. Small town comment has to do with quickness of response from support and dealing with that same core team. Overall: Our business is a Microsoft shop and we always had issues with having our MS tools communicate with our cisco conference rooms. We also had issues with external commutations. Unless you were federated in Skype we did not have the means to provide video to non employees . This has all changed and improved our foot print. Pros: I like its simplicity. It is a very easy software to configure. I think the low demand for bandwidth for videos is excellent. I was able to do conferences with a resolution of 720p with less than 384Kbps with smooth and uninterrupted audio. I tried the operation in its iOS version and it worked very well, it is in fact very similar to the desktop version and the web version, something that is very positive for the purpose of organizing a meeting with participants who are new using the software, since it is Very simple to explain how to use it. In addition, the software is intuitive. Very light in memory and processor resources. Cons: I do not like the operation with some video conference equipment, for example the YEALINK, the remote rooms of PEXIP with this equipment can delay the beginning of the meeting since it remains "asleep". Configurations in the firewall can be a problem, since it varied from one version to another. It does not appear in the list of applications allowed in Forticlient, it must be added manually. Overall: It allowed me to do very fluid communications and with a strong sensation of telepresence, in the room it felt that we were indeed there. After the communication started, we had no interruptions and that benefited us in the image before our clients and colleagues from other offices. Pros: The biggest thing with Pexip is the ability to communicate across various platforms. The bridging of multiple hardware and software based systems allows organizations to communicate both internally and externally with anyone. This is paramount in an industry with so many options and Pexip is key to providing this flexibility. Cons: While it's not a problem, by any means, the chat functionality is not as robust as it could be. It's still a great recent addition to the platform just very basic in functionality. Overall: Pexip has allowed our organization to communicate with our customers, vendors, and both internal and external partners with ease. The ability to schedule a call without much regard to the platforms being used on the far end saves time and hassle. It allows meetings to run smoothly with minimal setup time. Pros: I use Pexip as a Service on a daily basis. 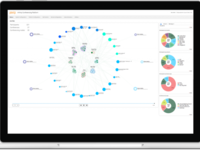 Overall: Pexip has become mission critical for our organization. We presently do over 1.6 million monthly minutes with the system. It has streamlined our meeting collaboration to a standard system and cut down on drive time exponentially. Pros: I absolutely love the agnostic approach Pexip is taking to truly offer a connect to anyone from anywhere approach. Most importantly is their Microsoft Teams capability with so many of my customers, and I believe the market as a whole are strategically road-mapped to migrate to Microsoft Teams. 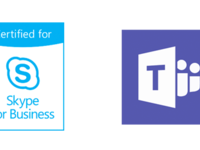 Currently, there are only three cloud interop providers officially certified to support Microsoft Teams integration and I feel Pexip does it best. Cons: At the moment, its unidirectional into the MS Teams environment. Once, Pexip supports bi-directional calling between the Teams and traditional VC environments, I think you will be hard pressed to find any cons. Overall: Today with the market trends leaning towards MS Teams migration from a workflow perspective (at least this is what Im seeing with the majority of my customers) Pexip is leading the way in supporting the integration between that new world and the traditional VC world. In simplicity and in cost Pexip has a solid number one position in my opinion addressing this new and growing business problem. Pros: Compatibility with standards based VC, Microsoft Skype for Business & Teams, Google Hangouts. Cons: Incompatibility with TIP protocol. Other than that, no cons. Overall: We use Pexip every day for internal conferencing, and also deploy Pexip for clients. Pexip has proven to be a stable and simple to utilise glue, connecting our own and clients communications environments. Overall: A very professional and helpful organisation who sell through Value Added Re-sellers like Internet Videocommunications. Overall: Top professional solution provided by professional people. Flexible to the max and yet the manage to keep on developing the solution. 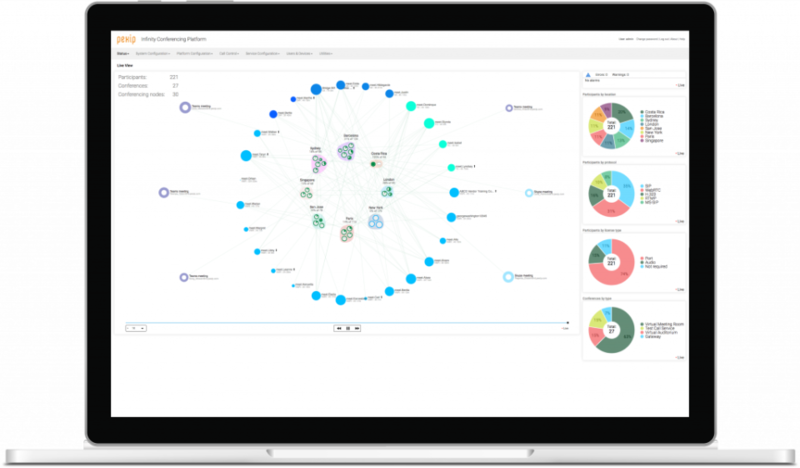 Pros: Pexip is a very well engineered product with software that is easily configured. It runs well in lots of different configurations because it is well thought out and tested thoroughly. The most needed features are close to the beginning of the configuration pages and the defaults are selected to already fit most situations. Cons: I have heard that the H.323 feature set is pretty small on Pexip, but I still have customers that use H.323. Even though H.323 is far less popular now and probably will only become less popular for video over time, I would like to see a few more features there. Here is why, I sometimes see the Pexip bridge as a Rosetta Stone between all popular video systems and including older systems is sometimes easier if you have a lot of H.323 features. Overall: The documents available for Pexip are easy to read and contain complete instructions so setting up the Pexip bridge and testing it only took a short amount of time. Pros: Connectivity towards SfB, other SIP based video solution. We could make a call to our VRM´s and then have our VRM´s to automatically call hardware video endpoints. Cons: Hm, could not come up with anything, compared to what this is meant to be. Overall: We are using it as an overall video plattform. Integrated with Cisco/Tandberg codecs. We have call between all plattforms. Pros: Broad range of interoperability with other video platforms. Very easy to use. Can dial in from various devices. Content sharing. Cons: Couldn't really fault it. It just works. Pros: Ease of use. Perfect interoperability. Pexip makes communication with anyone easy! Overall: As business evolves and more employees move to remote positions we are able to keep our employee retention high because of our happy and productive employees. Cons: Haven't yet implemented a way to change the Video Screen layout to show the traditional 4 or 6 images in large format - this MUST come to the product! Overall: Overall it's a great, simple and cost effective way to collaborate with colleagues and customers. Plus the obstacles in setting the service up are almost non-existent in comparison to traditional VC implementations. Pros: The ease of use being able to join with only a few clicks of the mouse from my desktop. Cons: the ability to access settings to make sure the right mic and camera were selected. Overall: experience has been great - much easier to conduct meetings over video. Cons: Video quality is 720p rather than 1080p. Pros: Been using variations of the Pexip platform for many years. Pros: Intuative, simple , looks great and works superbly. Cons: I didnt find any issues. The service ran better than expected. Overall: Enabled teams from remote locations to be incolved in all team activities whilst reducing hotel and travel costs. Cons: nothing that comes to mind. It really does just work. Pros: The most interoperable software for video conferencing in the marketplace, enables Cisco to connect with Microsoft, Teams to connect with Google... everything everyone else can't do properly! Easy to use, great quality & connects every time. Cons: Cannot think of anything at this time that isn't good. Overall: Interop between different technologies. Cons: LDAP / address book functionality needs additional products. Overall: Good product but still some work to make it enterprise level. Comments: Works very well for our organization. Secure connection and good quality. We had excellent support as well and use this every day.